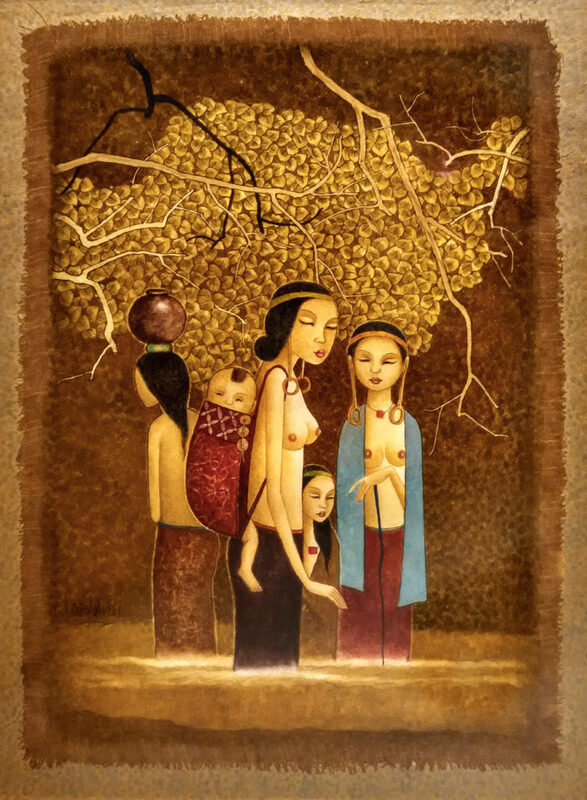 Being mentored by Cheong Soo Pieng, Lye Yau Fatt admitted to being very inspired by Cheong’s idea and compositions of art but despite all that, he often produced artworks that were full on the Malaysian theme and lifestyle. Viewers almost feel as if they are imposing on the exclusivity of the moment, and the intricacy of the design of this piece makes it seem even more homelier, warm and cosy, the pure epitome of serenity. Lye Yau Fatt was born in Kedah in 1950, he studied printmaking in New York. He held his first solo exhibition in 1979 at the Sum Art Gallery and has then gone on to win the Open Art Sculpture Award, the Malaysian Watercolour Society Award in 1987 and the PNB Watercolour Landscape Award.